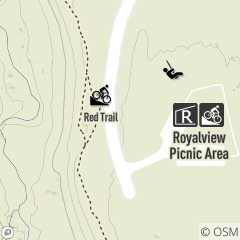 The Red Loop is a dual bike/hike trail. It offers challenging slopes and ravines with dramatic river views through a quiet pine forest. It also features an optional “out and back” section.